Muscicapa rufifrons Latham, 1801, Sydney, New South Wales, Australia. Twenty subspecies. 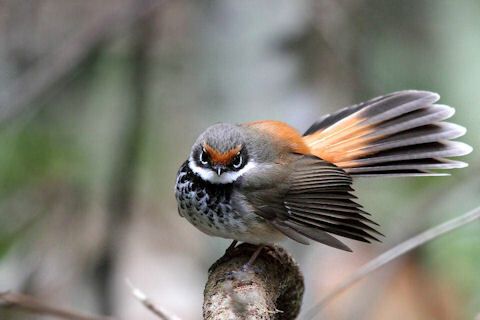 English: Rufous-fronted fantail; French: Rhipidure roux; German: Fuchsfдcherschwanz; Spanish: Cola de Abanico Rufo. 5.5–6.7 in (14–17.5 cm); 0.25–0.35 oz (7.2–10 g). 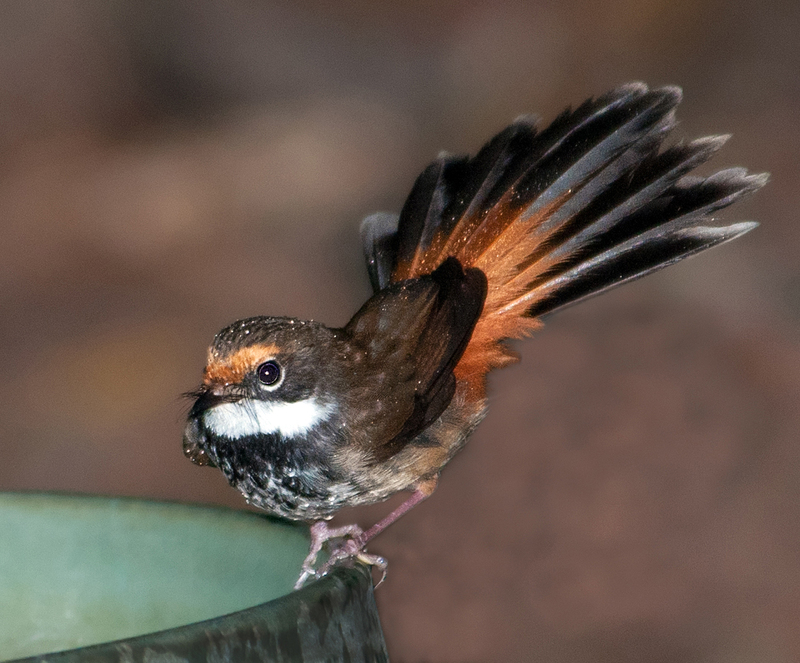 Rufousbrown plumage with mottled throat. 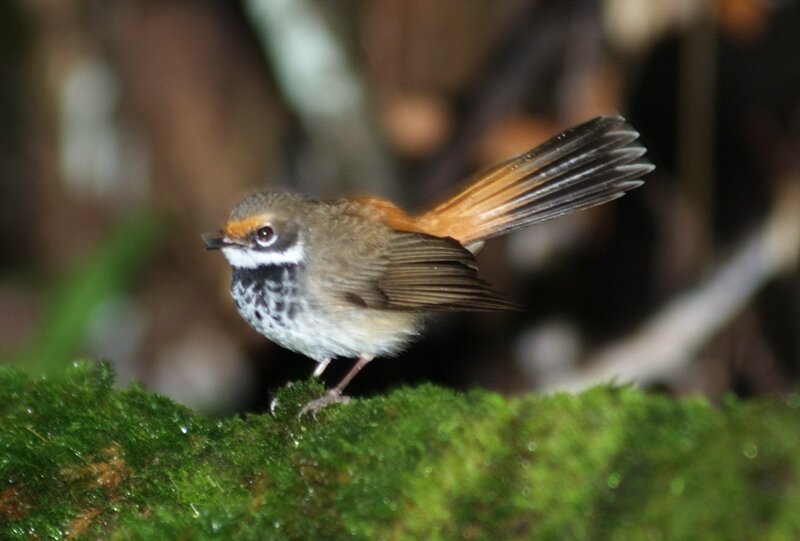 Tail color is rufous at base, to brown middle and whitish tips. White patch from chin to cheek and upper throat. Moluccas and Lesser Sunda Islands, coastal eastern Australia, New Guinea, Bismarck Archipelago, Solomon Islands, Santa Cruz Islands, and Micronesia. Located from sea level to 6,600 ft (2,000 m). Rainforest, monsoon forest, mid-montane forest, riparian vegetation, swamp woodland, wet eucalypt forest, mangroves; on migration may occur in open or urban situations. Usually seen singly, sometimes in pairs. Frequents lower substage to mid-tree levels. Confiding. Restless; moves with rapid jerky movements. 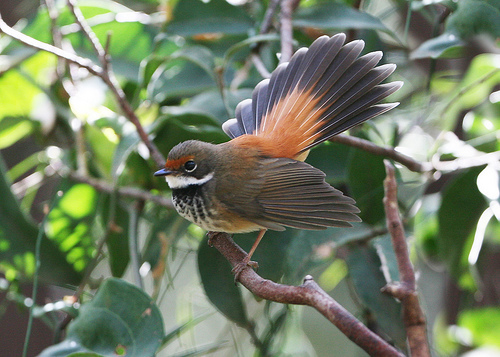 Strongly migratory in southeast Australia; tropical birds apparently not sedentary, but nature of movements uncertain. Insectivorous. Favors lower and middle levels of foliage. Forages mainly by gleaning, occasionally by flycatching. Works quietly along slender outer branches, from the inner section to the extreme tip. May join mixed feeding parties. Breeding season varies across range: Oct.–Feb. (Australia), Aug.–Jan. (New Guinea region), Feb.–Mar. (Micronesia). Sexes share nest construction, incubation, and care of young, rearing 1–2 broods per season. The nest is a compact cup of fine grass bound with spider web, with a pendant “tail” about 3 in (7.5 cm) long. The nest is placed in thin fork up to 16.5 ft (5 m) above the ground. The clutch includes 2–3 eggs; these are cream with small warm brown and lavender dots, mostly at large end. Incubation takes about 14 days. 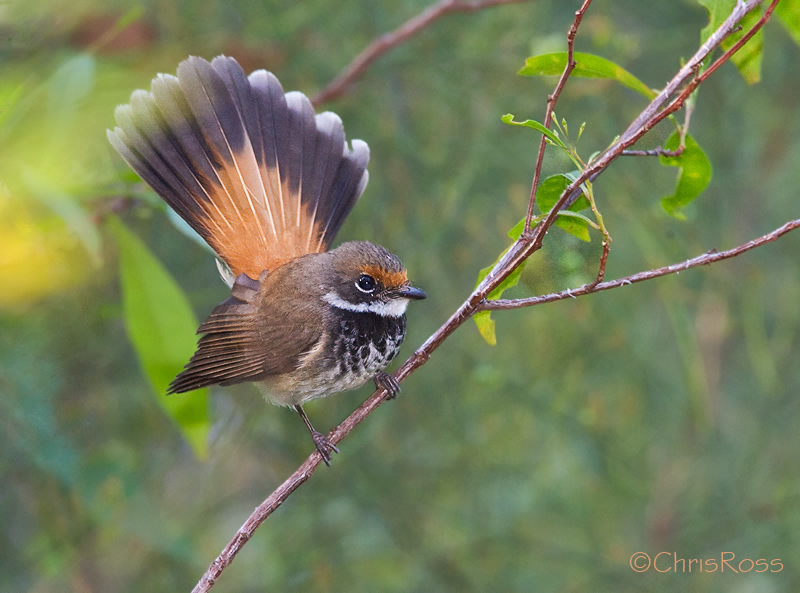 In Australia, this species is common in the north, decreasing in abundance southwards; it is not considered under threat. Several of the Micronesian populations exist in low numbers and are potentially susceptible to loss of habitat and introduced predators.